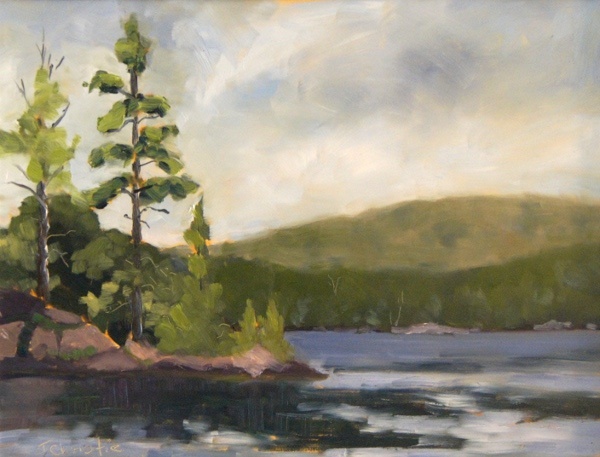 This is one of my favourite Haliburton Highlands locations. It is about ten minutes from my parents home and I have painted it a few times but always in watercolour so I was excited to have the oportunity to paint it in oils. It was painted during the Highlands East Plein Air Arts Festival and it was painted in a bit of a rush because the weather forecast was calling for a really nasty storm to come through and we could see it coming.